***YAMAHA MT-03 ABS***AVAILABLE IN NIGHT FLUO/MIDNIGHT BLACK/YAMAHA BLUE***YAMAHA FINANCE AVAILABLE SUBJECT TO STATUS***MODEL SHOWN FITTED WITH OPTIONAL AKRAPOVIC EXHAUST***Yamaha's dynamic MT-03 represents the new wave in motorcycle design. A sporty and versatile character comes together with an upright riding position and compact dimensions to make this naked lightweight an ideal choice for new, returning and upgrading riders.Powered by a lively 321cc, parallel twin cylinder engine and equipped with an easy handling chassis, this motorcycle makes you look forward to every ride on any road. 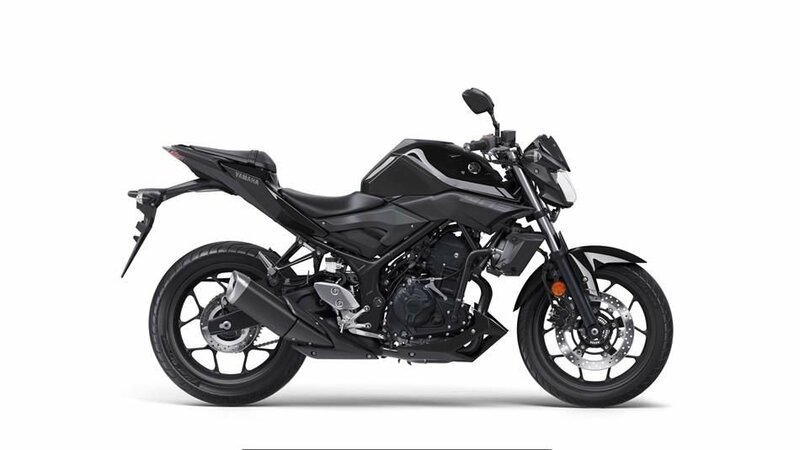 MT-03 from Yamaha. Come and embrace the Darkness. For further information please ring our sales team on 01273-020980. Many thanks for looking.